In what is really no surprise, Daniel Murphy has earned the MVP Award for the 2015 National League Championship Series. Murphy was other-worldly in this playoff series, going 9-for-17 with a double, four home runs and six RBI in the NLCS. Overall in the postseason, Murphy is 16-for-38 with seven home runs and 11 RBI in nine games. Murphy became the first player in baseball history to hit a home run in six consecutive postseason games. His seven home runs set a postseason franchise mark. The Mets defeated the Cubs by the score of 8-3 on Wednesday night at Wrigley Field in Chicago, sweeping their best-of-seven National League Championship Series. For the fifth time in franchise history, the Mets have won the National League Pennant, and will play either the Royals or the Blue Jays in the World Series beginning October 27. It has been a remarkable, emotional, rollercoaster of a season for the New York Mets, but they are nearing the top of baseball’s highest summit now, as they’ve won their fifth National League pennant since they were incepted in 1962. And they did it by utterly dominating the Cubs in the National League Championship Series. On this day, the story was an early barrage, a break out game for Lucas Duda, and the kid from Long Island leading the charge on the mound. It all started with Curtis Granderson singling the other way to leadoff the game. It looked like the Mets would leave Granderson on, but Yoenis Cespedes drew his first walk of the playoffs to prolong the inning, setting up Duda. He hit a three-run home run to help the Mets take control of this game and silence the desperate crowd at Wrigley. But the Mets weren’t done in the first inning. Travis d’Arnaud followed immediately with a home run of his own, this one to the opposite way to make the score 4-0 Mets. That was it in the first for the Mets, but they went right back to work in the second inning when David Wright drew a one out walk followed by Daniel Murphy notching a single. Duda then struck again for a two-run double to extend the lead to 6-0. That absolutely took the Cubs out of this game, as they would mount a very minimal effort against Matz for the first three innings in this game. He only allowed a one out walk to David Ross in the third inning before finding some trouble in the fourth inning when the Cubs had their best possible chance to get back into the game. They actually loaded the bases against Matz with nobody out, but he got a lucky break when Starlin Castro lined out right to David Wright, forcing the runners to hold. Then he got Kyle Schwarber to bounce out to first, and while that scored a run, there were now two outs, and he was able to induce a popup behind third base to end the threat and limit the damage. He would be removed in the fifth inning after he got an unlucky break on a pop up which wasn’t caught followed by a lined single from Jorge Soler. But fortunately that all came with two outs, and Bartolo Colon bailed Matz out with a tremendous strikeout of Kris Bryant to end that threat, and giving the Mets 1 1/3 tremendous innings of relief. The Mets had some opportunities to extend their lead in the sixth and seventh innings, but came up empty. In the sixth, the Mets got a break when Schwarber misplayed yet another ball in left field, which resulted in a leadoff triple for Wilmer Flores. But the Mets couldn’t get the ball out of the infield after that, and left Flores at third. In the seventh, the Mets loaded the bases with one out after a double from Daniel Murphy, a walk to Lucas Duda, and a hit by pitch at the expense of Travis d’Arnaud. But Kelly Johnson pinch hit for Bartolo Colon and struck out, and Flores flew out to right field to end that threat. But by then, the Mets had built more than an ample lead to seal the pennant, thanks to the Cubs being unable to convert their chances in the middle innings. They made some noise against Tyler Clippard in the eighth inning thanks to a two-run home run from Kris Bryant, but it was too little, too late at that point. Of course, no playoff game can pass for the Mets without Murphy hitting a home run. He did just that in the eighth inning, clubbing another homer to center field to plate two runs and put the Cubs season to bed, and get the Mets into the dance. It’s nice to see you, Lucas. It was nice that Duda decided to show up to the postseason, isn’t it? He had done less than nothing over the first eight games in the playoffs, but boy did he break out in a big way on Wednesday night. He had been 3-for-24 entering play in the postseason. He slugged three hits – a homer and two doubles – on Wednesday. His swing looked more controlled and he seemed to be able to recognize pitches out of the hand better as well. He wasn’t committing his swing early and he had good pitch recognition with a nice, short stroke resulting in a couple of very hard hit balls. Hopefully this is the beginning of one of those torrid streaks for Duda. The Mets desperately need to get some production out of his bat in the World Series – lets hope he has one more hot streak in him. It seems like this is all a dream. Considering where this team was just three months ago, it almost seems impossible. But it isn’t. It’s real. The Mets are in the World Series. You can say that with a smile, too. The Mets are in the World Series. 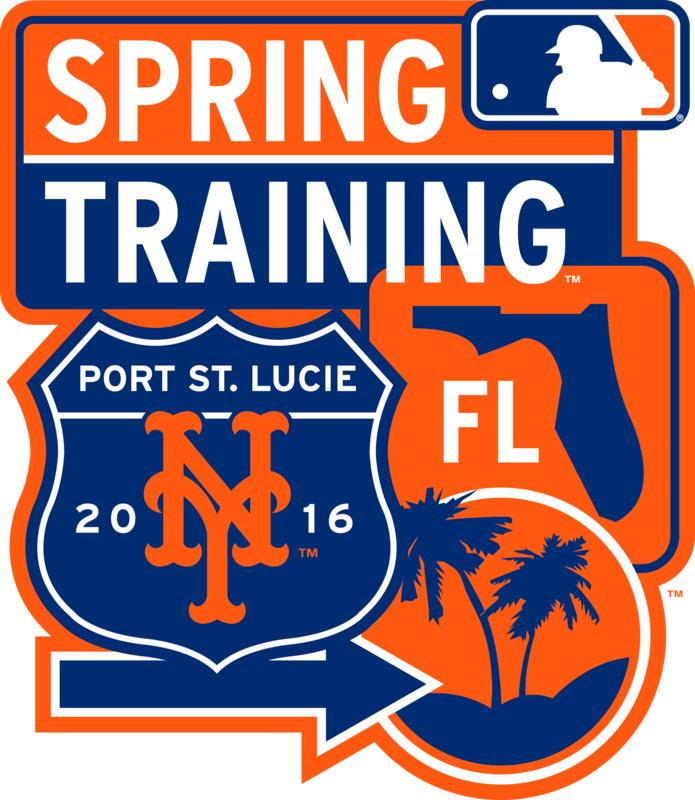 There are so many great stories to be told about this 2015 season, starting with Terry Collins and his coaching staff. There’s Wilmer Flores, who was doomed for failure at shortstop right out of the gate in Spring Training. Then there’s David Wright, who was faced with the greatest challenge in his life with a back condition that had him on a physical therapist table 3000 miles from home waiting and hoping that he might be able to play for his Mets again. How can anyone not be happier for Wright, the team’s captain who has been to hell and back with this franchise? This is exactly why he signed that extension almost three years ago. There was their 4-2 road trip to Los Angeles and San Francisco, with whispers about Collins’ job status flying out to the west coast with he club after getting swept by these Chicago Cubs at Citi Field in early July. Then there was Flores again on the day he cried, and was retained anyway, the greatest non-trade in the history of baseball. From that point forward, with Yoenis Cespedes in tow, the Mets shocked the baseball world. The blew past the Washington Nationals and right into the playoffs, only to shock the world again as baseball’s underdogs to defeat the mighty Dodgers in a five-game trial against baseball’s best pitchers, and the high-octane Cubs they easily beat in the NLCS thanks to the heroics of Daniel Murphy and their phenomenal pitching staff, top-to-bottom. And what a story Murphy has become. Now, here they are, National League Champions. I am blessed with the opportunity to be able to cover this team for the last seven years, and watch all of their seeds be planted and grow high into the baseball sky to be among baseball’s best. It’s been a test of patience for this fanbase, but through that patience has come such a great reward. As a fan, I couldn’t be any prouder than I am right now. I’ve loved this team since I was five years old, sitting in the upper deck at Shea Stadium waiting and hoping to experience a World Championship. I got to experience 1986 first hand. And now, I get to experience yet another championship run with truly the greatest baseball community in the country. Congratulations to the owners Fred and Jeff Wilpon along with Saul Katz and the other shareholders. Also, congratulations to Collins and the coaching staff, Wright, Murphy, and the other people in that Met locker room who have worked so hard to get to this moment. 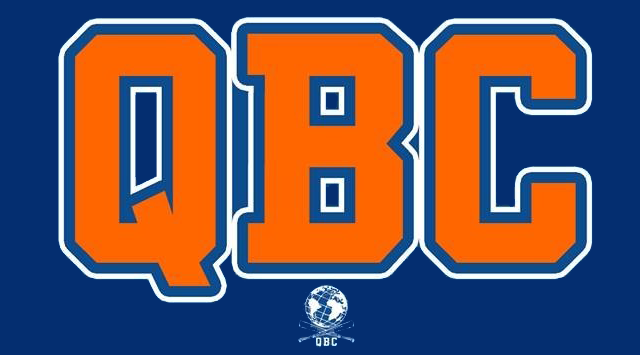 Congratulations to Sandy Alderson, John Ricco, Paul DePodesta, JP Ricciardi, Ian Levin, Tommy Tanous Dicky Scott, and the entire player development staff for implementing this program and cultivating such a fantastic program here at the big league level. It all started in Port St. Lucie in the Gulf Coast League for a lot of these guys, and it’s now culminating into what they all hope to be a World Championship in 2015. This is well deserved for everyone. They’ve been through a lot, exorcising the demons of collapses, financial crisis, and terrible embarrassment for so many years. Now they are enjoying the fruit which has bloomed from the trees they planted so many seasons ago. This is only the beginning of a beautiful story, too. Murphy homered in his sixth consecutive postseason game – no one in postseason history has ever done that. Murphy’s 16 hits have tied a franchise mark in a single postseason. The Mets have hit 13 home runs, a franchise-record for any single postseason. The previous mark was 12 in 1969. Tonight was the second time in Mets postseason history, they hit back-to-back home runs (Duda and d’Arnaud). The only other time was Darryl Strawberry and Kevin McReynolds in Game 4 of the 1988 NLCS vs. Los Angeles in the fourth inning. Duda’s five RBI in game four tie the post season franchise-record for a single game. It’s the fifth time it’s happened and second time in this postseason – Curtis Granderson had five RBI in game three of the Division Series against the Dodgers. The Mets have scored in the first inning in all four NLCS games (nine total runs). New York has scored in the first inning in its last five playoff games (10 total runs). The Mets scored all six of their runs in the first and second innings with two outs. The Mets outscored the Cubs 21-8 in the four games in the NLCS. The Mets became the first team in NLCS history to sweep a series without ever trailing in a single game. For David Wright, things couldn’t have been going much worse in his first postseason in nine years over his first six games. Yes, he delivered a big two-run single in game one of the Division Series against the Dodgers, but he went just 1-for-19 with eight strikeouts and only those two RBI over his first six playoff games in 2015. His problems got to a point his manager decided to meet with him after game one of the National League Championship Series, during which he went a weak 0-for-3 against Jon Lester and the Cubs. In that meeting, Collins asked Wright how he was feeling, specifically in regards to his back in which he suffers from spinal stenosis in the lumbar spine. But whether Wright was being honest or not, he insisted he was fine, and simply, “sucked” over the first week of playoff baseball. But since the two met after Saturday’s game, Wright’s bat has perked up. He’s 4-for-8 with two doubles, an RBI and three runs scored in his last two games, including a 3-for-4 performance in game three of the NLCS on Tuesday night at Wrigley Field. For Jacob deGrom, it was another display of guts and determination on Tuesday night in Chicago. As was the case in Los Angeles five days earlier, deGrom could not get on-track in the first inning against the Cubs. Handed an early 1-0 lead, deGrom immediately coughed it up when he allowed a solo home run to Kyle Schwarber. As was the case in Los Angeles, he had no command of his fastball early on. It was erratic, sitting up in the strike zone when he did throw it for a strike, flying way out of the strike zone when it wasn’t, especially in the first inning. And when he did throw his fastball for a strike, the Cubs were putting good swings on the ball. That’s when he switched gears. This game certainly had it’s share of twists and turns. But in the end, the Mets caught a break, and found a way to gain complete command of this National League Championship Series with their third win in a row over the Cubs, and their fourth straight win in the playoffs. The Mets got out to an early lead thanks to a two-out double to plate David Wright, who reached on one of three hits in game three. But Jacob deGrom gave that lead right up thanks to an opposite-field home run to Kyle Schwarber in the first inning, his fifth home run in the playoffs. But since it’s Tuesday, that means Daniel Murphy would homer. And he did with a laser beam in the third inning to give the Mets their lead back. But that lead wouldn’t last very long, as deGrom gave up a solo home run to Jorge Soler which tied the game back up. It wouldn’t be until the sixth inning that the Mets would regain the lead, and it came in an unconventional manner. With Trevor Cahill pitching for Chicago, It started with a leadoff opposite-field single by Cespedes. Then, Lucas Duda – who had a hit tonight but is mired in a deep slump – bunted Cespedes over to second. Then Cespedes stole third, but Travis d’Arnaud was unable to drive him home when he bounced out to third. That brought up Michael Conforto and he struck out, but the ball bounced away from catcher Miguel Montero, allowing Cespedes to score which gave the Mets the lead back. The inning would not end without incident, however, as Wilmer Flores followed with a double to right which got away from Soler. But the ball got stuck in the ivy, which calls immediately for two bases. That forced Conforto – who would have easily scored on the hit, to return to third. He would get stranded when deGrom flew out. But the Mets didn’t waver despite their missed opportunity, one of several for them on the night. They plated two more in the seventh inning thanks to more bumbling from the Cubs. Kyler Schwarber dropped a flyball with one out which allowed David Wright to score after he doubled for his third hit of the night. Then, Duda grounded into a fielders choice which allowed Murphy to score as he beat Anthony Rizzo’s throw to the plate. That made the score 5-2 Mets, shutting down the Cubs crowd as the Mets closed the door on a 3-0 NLCS lead. As was the case last Thursday in Los Angeles, deGrom really didn’t have that good fastball command on Tuesday. But did he ever have command of that change-up. That pitch saved him on Tuesday. He was able to basically use that as his primary pitch over the first four innings while he searched for his fastball command. He found it in the fifth inning and it was lights out from there for Chicago, who squandered a huge chance in the first to set the tone in this game and bailed him out when they had him on the ropes. He allowed a pair of solo home runs on some mis-located fastballs, but he was otherwise gritty and crafty, as he had to figure out a way to become more efficient after a 29 pitch first inning. He did in innings 2-4, and then he discovered that fastball. He has been by far from his best in his last two starts, but he’s like a steel wall out there and he just doesn’t give in. He’s a bulldog, he knows what his plan B, C, D, and E is at any time and has confidence to be able to turn to it whenever he has to. Murphy has always been one of those guys who, when he gets hot, the opposition can’t get him out. But in those instances, he’s usually just clocking singles and doubles all over the field. But he’s on another planet right now with these home runs. He simply cannot be contained, and he’s pacing the Mets offense at this point and obviously running away with the series MVP award, should the Mets seal the deal. Its fun to see. It makes everyone smile considering he is a homegrown talent and has been here through all the lean times, doing everything and anything he’s been asked to do with no shame at all. It’s certainly unexpected, but there are few others in this organization who deserve this kind of success under this bright of spotlight in one of the best years this organization has ever had. It’s nice to see Wright finally start to settle into the batters box and deliver some key hits. He came through with three hits on Tuesday night and scored two of the five runs for the Mets on the evening. His swing looked calmer, shorter and much more in control in this one, very much like the David Wright of old. Whatever happens going forward – and their immediate future looks very bright right now – they’re going to need the captain to deliver at the top of the order. Hopefully Tuesday was the start of a grand finish to the postseason for Wright, and he can contribute at a high level in whatever number of games they have left this fall. 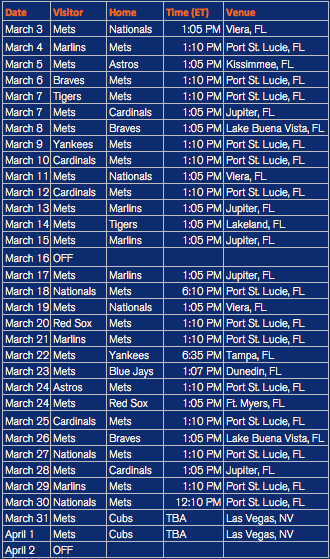 Again, the immediate future is very bright for the Mets. They’re on the brink of winning their fifth pennant in franchise history. They need to win one of the next four games in this series against the Cubs, who have more or less had no answer to the Mets hard throwing starters and their bullpen these three games. Only one team in baseball history has blown a 3-0 lead in League Championship Series history. That was the 2004 Yankees who lost the final four games of their ALCS against the Red Sox. Teams to go up 3-0 in the LCS are 10-1. No team in NLCS history has blown a 3-0. They’re a perfect 5-0. And with the way the Mets pitching is going right now, it’s hard to see an anomaly to those statistics taking place. Murphy set a new franchise mark with his sixth home run in the postseason. He’s now homered in five consecutive games. Cespedes notched three hits, two RBI and scored a run. He’s now hitting .273 with seven RBI in eight games in the playoffs. The Mets 2-4 hitters went 8-for-14 with five runs scored and three RBI on Tuesday. Jeurys Familia is now a perfect 5-for-5 in save opportunities in the playoffs after notching a save in game three. Mets pitching has allowed 23 runs in eight playoff games in 2015. The Cubs have not led at any point in the first three games of the NLCS. The Mets won at Wrigley Field for the first time since May 19, 2013.